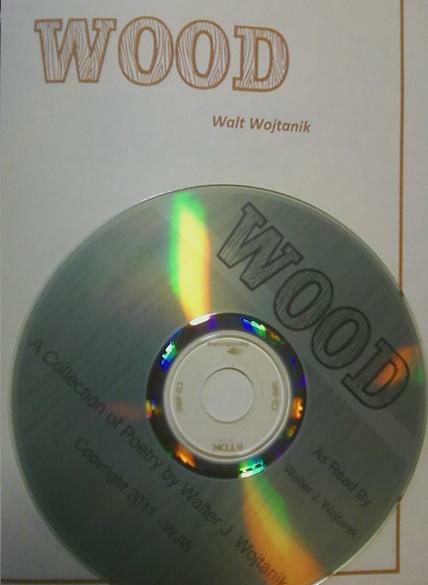 After three years of intensive poem composing, I’ve finally found my nerve to compile my first collection of poems into the limited edition chapbook entitled, WOOD. The inspiration for WOOD was two-fold. Of the poems included, the majority is about my Father who was a very skilled carpenter. It is fitting that Dad worked his mastery of woods while I have developed a mastery of words. Along, with that connection, we lived at 76 Wood Street. I had gotten a bit ambitious in offering approximately 38 poems in this collection, but strung together, they actually tell the story of my relationship with my Father and that place near the Erie Tracks where we lived and grew up.